About our Shampoo: Our signature product is made from the Chumket (Boket) Bean – scientific name Gleditsia. The Chumket plant is an ideal source of Saponin, which is a natural foaming agent and used for centuries as a cleansing agent. Combined with our proprietary blend of organic botanical extracts…our all natural shampoo deep cleans the scalp of oil, environmental pollution and build up; infuse hair with natural oils and minerals; removes itchy scalp dandruff; and nourishes follicles to help prevent hair loss and the delaying of gray hair. 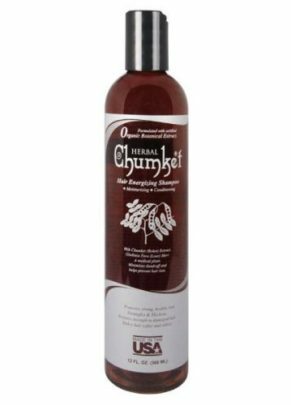 The color and aroma of our shampoo is naturally from the Chumket Extract. History of the Chumket Plant: The Chumket plant has been used in the field of homeopathic Medicine for a thousand years. Its multi-purpose is used to make shampoos and laxatives; fight colds, strokes, food poisoning; heal wounds; and cure skin diseases. The Chumket plant however, is universally known for its unbeatable organic quality as a shampoo to deep clean hair, combat dandruff, help hair loss, and keep hair thick and silky. 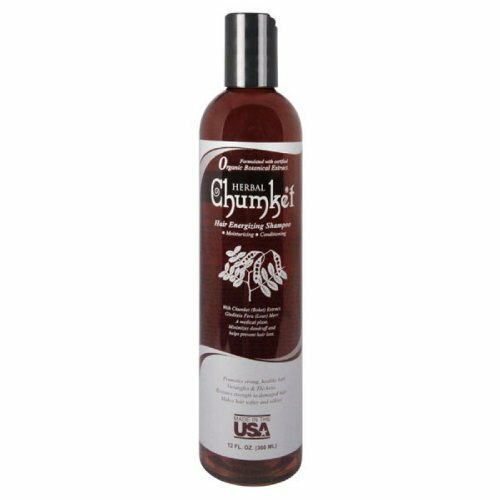 Be the first to review “Herbal Chumket Shampoo” Click here to cancel reply.